Oncology, also known as Hematology, is a complex practice with many unique characteristic diagnoses, treatment plans, ordering and administrating chemotherapy. Oncologists have to deal with large volumes of data and they need to document it properly. Giving the wrong drug or dosage can have significant consequences. Due to this and many other reasons, Oncologists adopted Electronic Health Records (EHR) and Practice Management (PM) software. The Oncology EMR software is designed specifically to meet all the unique requirements of oncologists. These requirements also include the handling and administration of chemotherapy drugs. One of the biggest challenges faced by Oncology physicians is choosing the right EHR and PM software for their practices. The Oncology EHR software must feature a real-time dashboard which helps physicians to clearly view patient charts, profiles, billing processes, chemotherapy updates, scheduling etc. all at one place. The top oncology EMR software must offer automated dosing, scheduling, and chemo ordering. Oncology-specific Electronic Medical Record (EMR) software must incorporate documentation of drug administration, inventory management, and billing. The Practice Management (PM) software must feature customizable oncology templates. The software should include templates for Leukemia, Melanoma, Neoplasm, Sarcoma, Chemotherapy, Skin cancer, Radiation therapy etc. MOSAIQ Electronic Medical Record (EMR) software, developed by Elekta is oncology supported Practice Management (PM) software. It is available on-cloud as well as on-premise deployments. CureMD EMR Software is a market leader providing modern-day health information systems and services that enhance the clinical and administrative operations of multiple healthcare practices like oncology, cardiology to name a few. Kareo Electronic Health Records software (EHR Software) is a web-based Health IT solution offering Electronic Health Records (EHR) and Practice Management (PM) services. 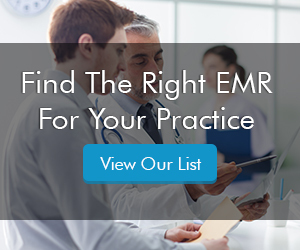 Kareo EHR software offers support to multiple healthcare specialties including oncology, mental health, pediatrics, neurology, cardiology, and podiatry. iKnowMed Generation 2 Electronic Health Records (EHR) software by McKesson Specialty Health is specifically designed for oncologists, and hematologists to meet the unique requirements of their specialty. OncoEMR is a top quality Electronic Medical Records (EMR) software system that has been designed to meet the needs of oncology practices.